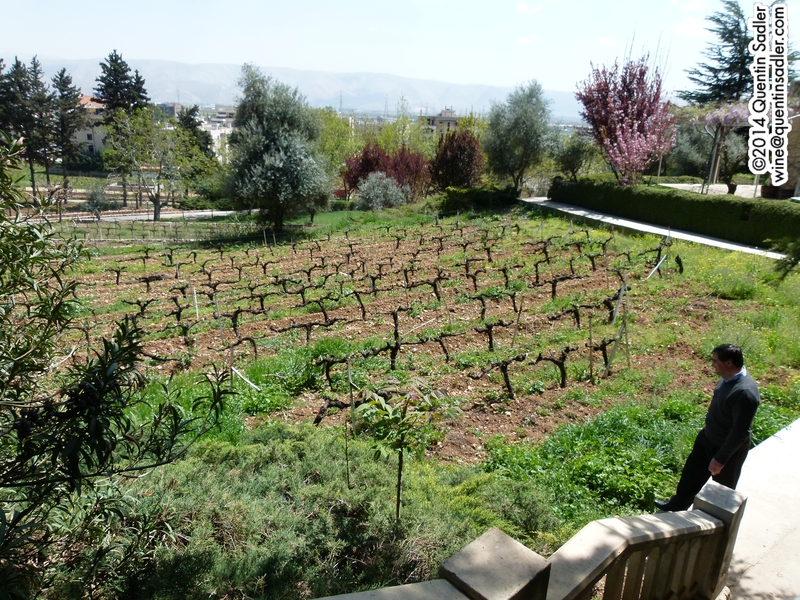 Earlier in the year I was invited to visit Lebanon and so was able to tour some of the wineries in the Bekaa Valley. Lebanon is a beautiful and vibrant country full of smiling, friendly people, incredible landscapes, wonderful food and excellent quality wines. Of course in world terms it is a tiny producer, just 0.06% of total world production in 2010, but the average quality does seem very high. Not even the biggest producers in Lebanon count as bulk producers though. So it is a land of boutique winemakers, people who feel driven to make wine, who strive for quality and do not cut corners. This means that most Lebanese wine isn’t cheap – even in Lebanon – but is usually well worth trying. 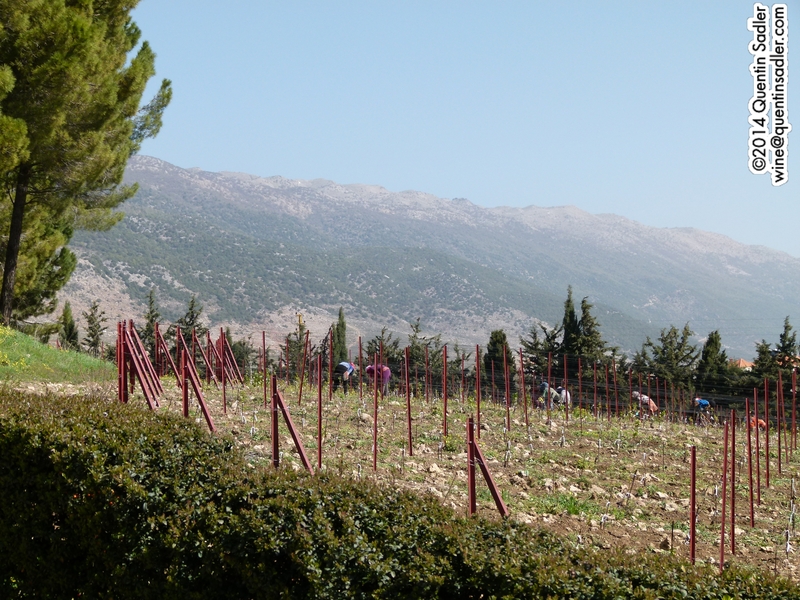 Most Lebanese wines come from the Bekaa Valley, which is a beautiful fertile valley between Mount Lebanon and the Anti-Lebanon mountain ranges, which form the border with Syria. It’s very fertile and every where you look you can see produce being grown – wine of course suits the rockier, less fertile soils. The region enjoys a Mediterranean climate with cold winters and hot dry summers that can ripen grapes perfectly. The heat is tempered by cool breezes because the valley is at very high altitude, between 900 and 1250 metres above sea level. The big temperature drops between day and night, often around 20 degrees, also helps to retain freshness and elegance in the wines. Some of the newer regions just starting to produce wines, like Jezzine in the south and Batroun in the north, are cooler and look promising for more delicate grape varieties like Rielsing and Sauvignon Blanc. 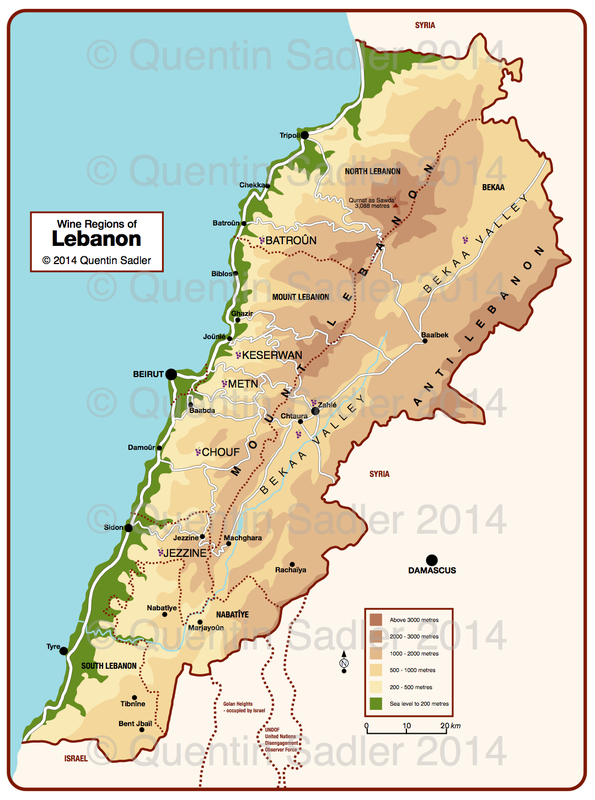 When I first got back I wrote a little about Lebanon and have since put on a couple of well received Lebanese tastings as well, but I thought it might be useful to go into a little detail about some of the producers whose wines you might be able to buy where you live. 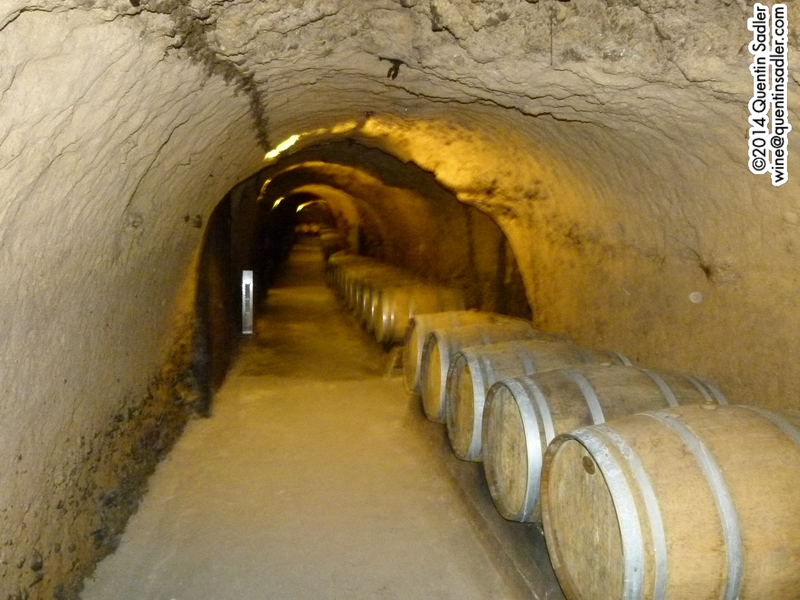 Founded in 1857 by Jesuit monks, this is the oldest and biggest winery in the country. It all started when the monks of nearby Tabauk Monastery were left 25 hectares of farming land near Zahle in the Bekaa Valley. It seems that one of their number – Father Kirn – was rather keen on wine and persuaded his colleagues that this place had great potential for growing grapes and making wine. It seems they aimed high right from the start and eventually employed a trained team of viticulturist monks, which seems an odd concept to a modern ear, but remember that the monasteries had been the guardians of winemaking knowledge – and indeed the wine innovators too – for hundreds of years. The secularisation of wine was a long journey that has lasted from the 1500s in Bordeaux onwards and even today monasteries still cultivate grapes and make wine around the world – see my article about Mount Athos. Ksara had a an amazing stroke of luck in the final years of the nineteenth century, when some children, who worked on the farm were trying to stop a fox from terrorising the chickens. In the excitement they stumbled on a Roman cave system on the site. The monks instantly realised that these ancient caves were a perfect place to store their wine as the temperature stays constant at 11˚C throughout the year. These cellars are quite amazing to see and have been central to the Ksara story ever since their discovery and help to explain why Ksara is such a popular tourist destination – although numbers of visitors have declined recently with the civil war raging in nearby Syria. Everything changed in Lebanon after the First World War. The Ottoman Empire was broken up and Lebanon was awarded to the French as a United Nations mandate. French soldiers and administrators came to the country and brought their thirst with them. The country’s two wine producers just weren’t enough to cope with demand and so other wineries – together with breweries and distilleries – were created throughout the 1920s and thirties. Ksara carried on as before, but with bigger markets and more demands, until the Vatican noticed that wine making had become a major focus for the monastery – by this time they were producing 1.5 million bottles. The Vatican didn’t really approve and so in 1973 encouraged the monastery, as well as many others, to sell off any money making enterprises. So Ksara became a private company belonging to a group of local businessmen. Their timing wasn’t great as the Lebanese civil war started in 1975 and lasted for the best part of twenty years, devastating the country and making commerce next to impossible. The absolute low point for Ksara was when the Battle of Zahle raged just down the road and the winery was actually occupied by Syrian troops for a time. The 1990s saw Ksara bounce back with determination. New planting, replanting and investments in modern equipment have paid real dividends. My hosts here were the charming Elie Maamari – who is officially the export manager, but seems to know everything about and everybody to do with wine in Lebanon and was instrumental in my being there – and James Palgé the talented and engaging wine maker. Like all the Bekaa Valley wineries I saw, the place is very peaceful, which is astonishing considering that it’s almost in the centre of a bustling little town. However photographs from as recently as the 1960s show that it was originally in the countryside with nothing around it except vineyards. The winery is like a little haven of peace with a museum in the reception area. It’s full of wonderfully antiquated wine making equipment and reinforces how old this winery is, over 150 years now. Upstairs there is a lovely tasting area and excellent restaurant, but the real wonder is the cellars which lie beyond an arched door with 1857 carved into the keystone. These extraordinary tunnels appear to go on for miles – actually just over 2 kilometres – and it is fascinating to meander through them seeing the little alcoves lined with bottles and barrels. 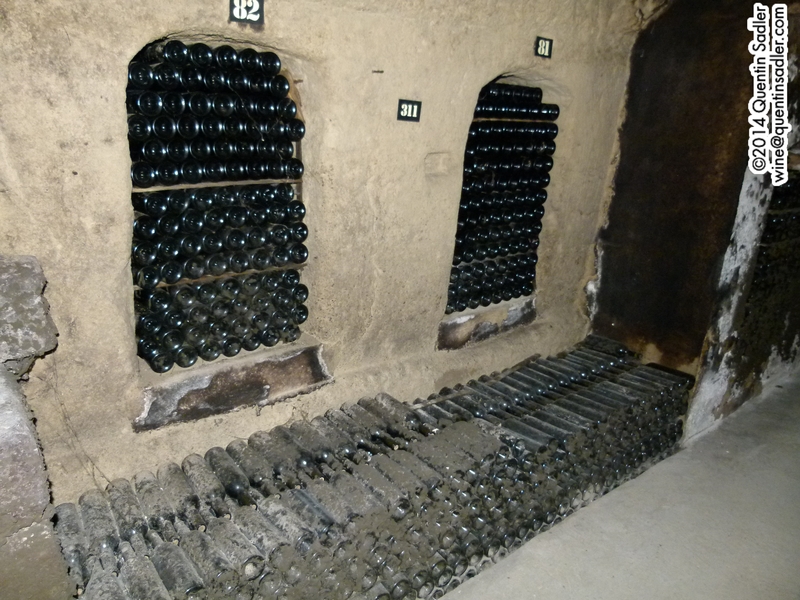 They still store some old wines that the monks made there in the nineteenth century. Old bottles in the caves at Château Ksara. It isn’t all about the restaurant and the cellars though, there is real dedication here and it shows in the finished wines. James is a passionate and thoughtful winemaker who embraces new techniques while retaining the best of the old. He led me and my friend, fellow wine scribe Stephen Quinn – whose writings and videos can be found here – , through a wide range of Ksara’s wines in their beautiful upstairs tasting room. We started with a pair of rosés and I was very impressed, especially by the 2012 Château Ksara Gris de Gris with it’s delicate, Provence-like colour, subtle spice and delicate fruit, but the more intensely fruity 2013 Ksara Sunset Rosé was very drinkable too. It was a sunny day and the idea of sipping the Gris de Gris with a lovely Lebanese meal was very attractive. 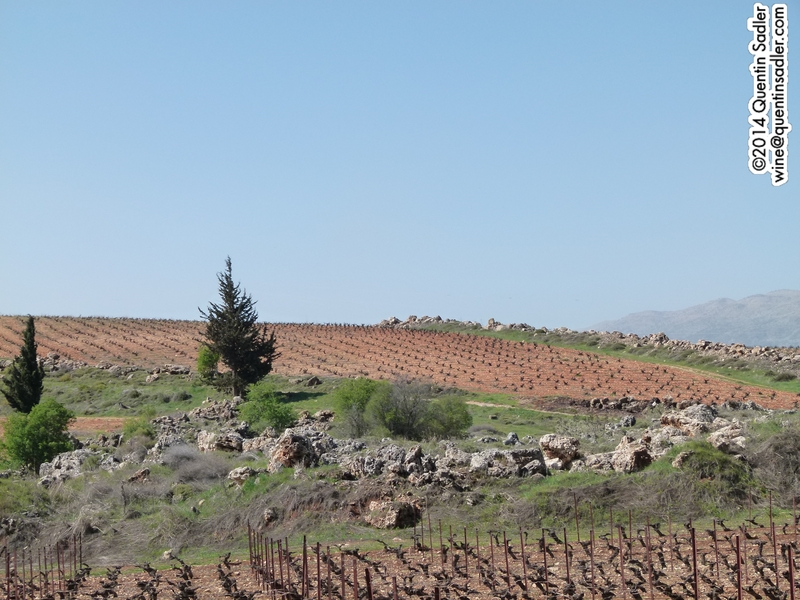 The Bekaa has a huge variety of soils and conditions, so all colours can confidently be made here – indeed one of the revelations of the trip, for me, was the high quality of the white wines – which is good as they also suit the cuisine very well indeed. Certainly Ksara’s 2012 Chardonnay is an accomplished and appealing wine, with a lovely texture, succulent fruit and refreshing acidity it is the sort of wine that could win more drinkers back to Chardonnay. While I was in Lebanon I totally fell for the traditional and local style of white, which is a blend of different white grape varieties and usually called a Blanc de Blancs. I tasted quite a few I rated and the 2012 Château Ksara Blanc de Blancs was one of them. It is a lovely, nutty, creamy and spicy blend of 55% Sauvignon Blanc, 25% Chardonnay and 20% Semillon and is delicious with a nice piece of fish. The heart of their range though is their red wines and I liked them all, although the stand outs for me were the 2010 Château Ksara itself, which is nicely complex and cedary, Médoc inspired blend of 60% Cabernet Sauvignon, 30% Merlot and 10% Petit Verdot, barrel aged for 12 months. The wine has supple tannins and that classic dry, but ripe fruit and leafy character that will please claret lovers. 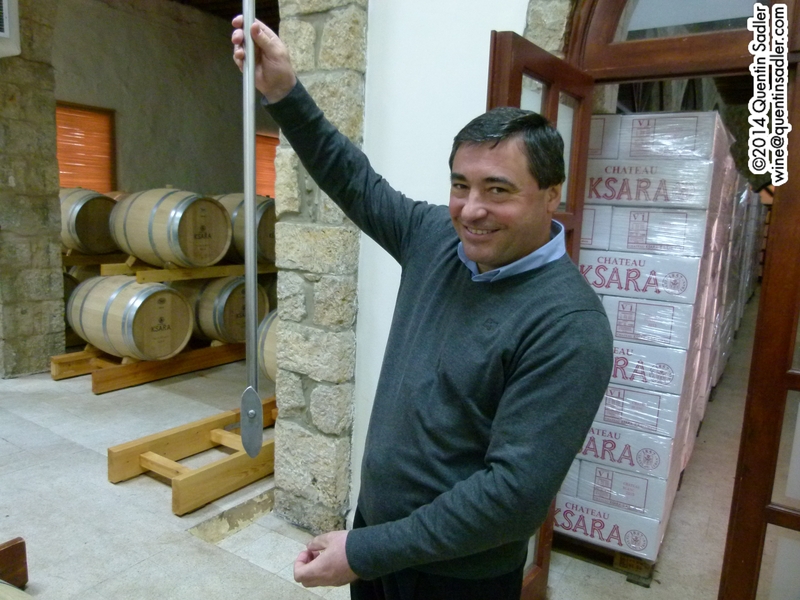 The 2011 Ksara Reserve du Couvent is a more approachable wine in terms of structure and price. It is a lovely bright blend of 40% Syrah 30% Cabernet Franc and 30% Cabernet Sauvignon with ripe, supple tannins and generous fruit – it is a former Wine of the Week because it is so delicious and a great bargain. The top wine of their range is called Le Souvrain and I was hugely impressed by the 2008 offering. Created to celebrate the wineries 150th anniversary, 2008 Le Souvrain is an opulent blend of 50% Cabernet Sauvignon and 50% Arinarnoa, which is cross between Merlot and Petit Verdot, aged in new French oak for 24 months. The wine is full-bodied, creamy, concentrated, supple and sumptuous with the weight of fruit easily carrying all that oak in perfect, seductive balance. 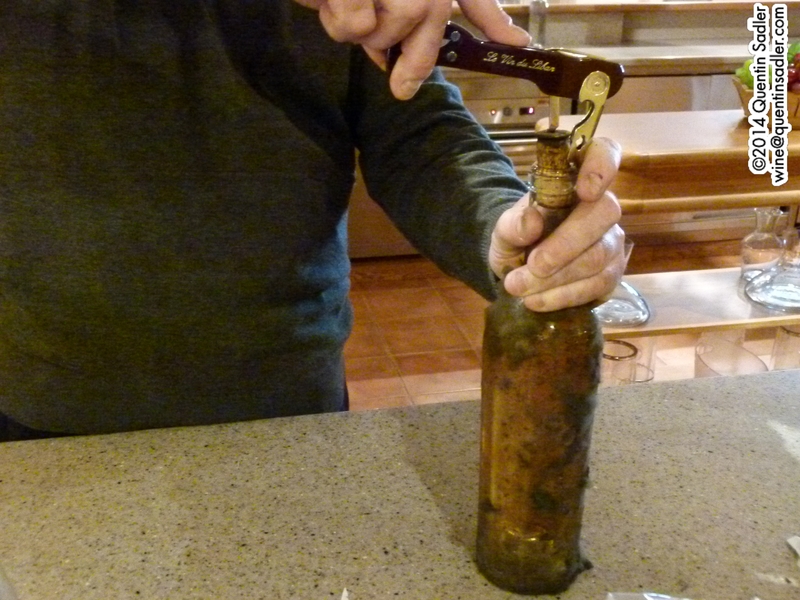 James carefully opening the 1942 Ksara Vin d’Or. 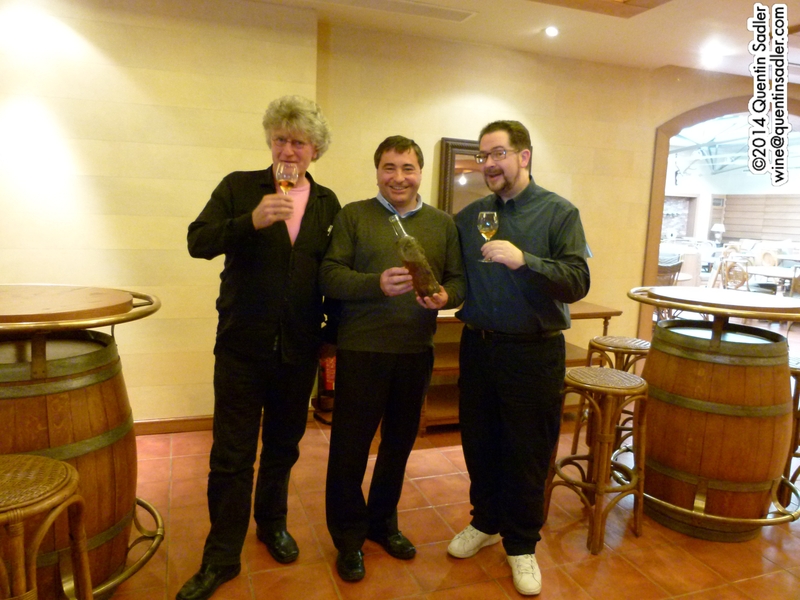 Stephen Quinn, James Palgé and me drinking the 1942 Ksara Vin d’Or. It was a brilliant tasting, but James had one more treat in store for us. 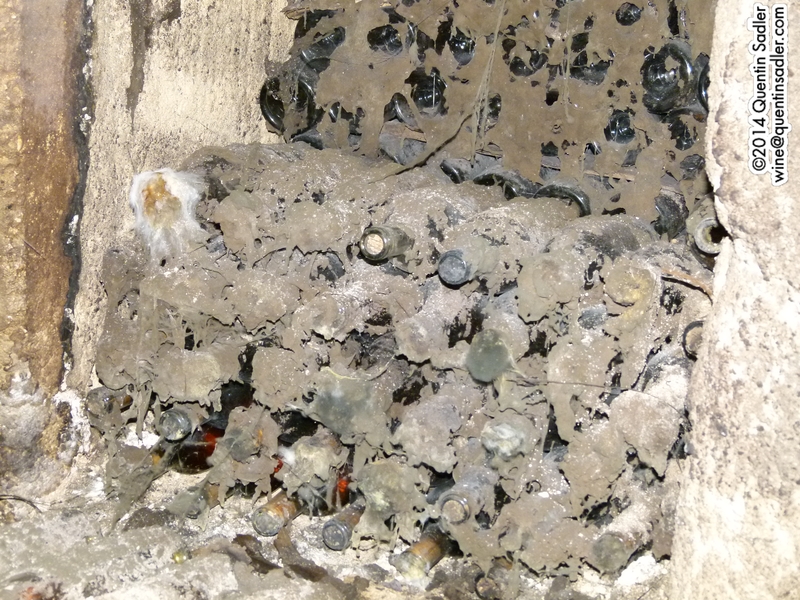 He collected a mould encrusted bottle from the cellars and carefully removed the cork before pouring samples of this venerable looking bottle. It looked like brandy in fact and had complex aromas of amontillado sherry, barley sugar and orange peel. The palate was glorious with high alcohol, coffee, apricot, walnuts, caramel, honey and brandy characters. We were drinking the 1942 Ksara Vin d’Or (no records exist about what grapes were used) which was made by the monks and had lain in the caves beneath Ksara ever since. It was an exquisite wine and a great experience that I will remember forever. Château Ksara wines are distributed in the UK by Hallgarten Druitt & Novum Wines. Thank you Elie and James for a memorable and wonderful visit. 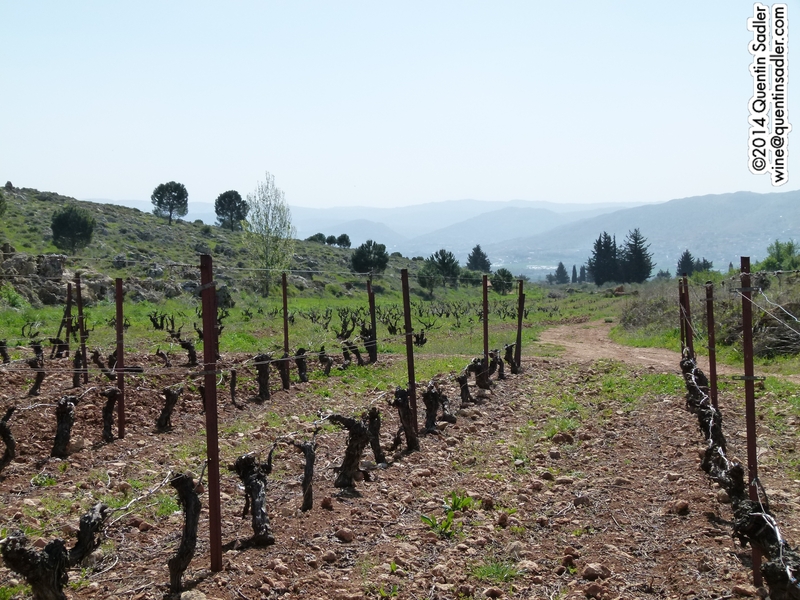 An hour or so further south in the heart of the Bekaa Valley, Château Kefraya seems to be very remote – it is midway between Chitaura and Machghara. It was my first winery visit in Lebanon and I found the place quite magical with a lovely peaceful feel. The landscape seemed biblical to me and had a rugged beauty to it with wild flowers and scrub contrasting with the neatly maintained grounds and foliage around the winery. Lizards darting around and cicadas chirruping added to the exotic ambience. 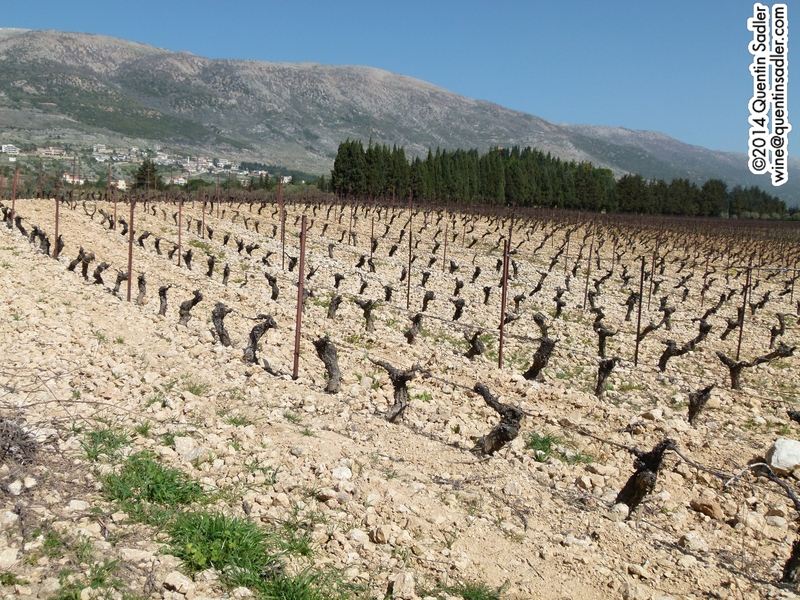 Kefraya, the area or lieux-dit in French, has been owned by the de Bustros family for generations. However farming here has always been problematic as the soil is so rocky and difficult to work that anything other than subsistence agriculture has proved impossible. It was these conditions that inspired Michel de Bustros to return to the family land in 1946, repair the buildings and set about creating a vineyard. First of all they had to remove a mass of rocks, something which is ongoing as the vineyard area grows, so the first vines were not planted until 1951. At first they sold their grapes to other Bekaa Valley producers, including the excellent Château Nakad. The rocky soil at Kefraya being tended. Eventually Michel decided the they had enough experience and knowhow to build a winery on the estate too and to create a new Lebanese wine brand. 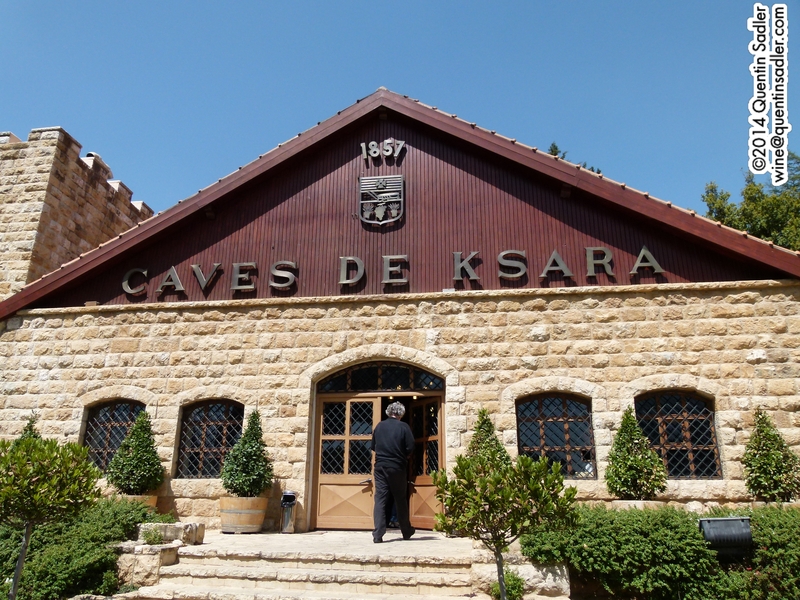 Château Kefraya’s – there is an actual castle that is now quite modernised and serves as the family house – first estate bottled vintage was 1979, although some of the grapes were still sold to other producers at that time. Of course, again the timing was bad, the civil war was in full flow and Lebanon’s unruly neighbours had to get involved. In 1981 the Israeli Army occupied the area and took over Kefraya for a while – they even arrested the winemaker. Determined to look after his beloved Château, Michel stayed there all through this troubled time. His determination was rewarded as more peaceful times returned, slowly at first, but enough to ensure the winery could start to prosper. They started exporting from 1987 and have gone from strength to strength ever since. The current wine maker is one of the most engaging and inspiring I have ever had the pleasure to meet. Fabrice Guiberteau is a gentle giant of a man, brimming over with energy and enthusiasm for this place and the wines he makes here. His excitement was palpable and it was a wonderful experience to see the estate through his eyes. Fabrice tending his Chardonnay vines. I first glimpsed him driving a tractor around a rocky vineyard. He explained that the site produced his best Chardonnay grapes, so he tended it himself. As the estate is now 430 hectares he cannot do it all, but insists on personally looking after this section. From the moment he greeted us, it was great fun to be there, Fabrice bounded from one topic to the next, explaining it all and being totally honest, as well as modest – both important attributes in a wine maker I think. He drove us around the estate in a 4X4, showed us the very different soils – limestone, chalk – particularly good for their Chardonnay – and sand, the different aspects and the different altitudes he grows grapes at. He showed us the amazing piles of rocks that have been removed from the land before the vines can be planted. The rocks that were removed before the vines could be planted. 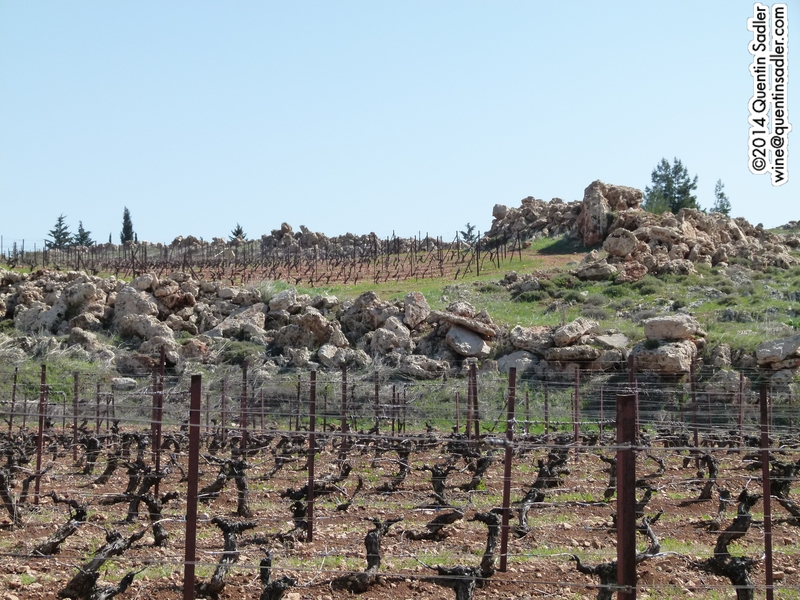 The vines are interspersed with rocky outcrops that, it was recently discovered, contain an ancient cave system that was used for tombs in biblical times. Outside the tombs seats were carved into the rock to allow mourners to sit and weep in comfort. It looked for all the world like the tombs mentioned in the bible and was amazing to think that this rural landscape has been inhabited for more than 2000 years. They still turn up Roman finds while tending the fields and have a small museum of coins and artefacts in the Château. 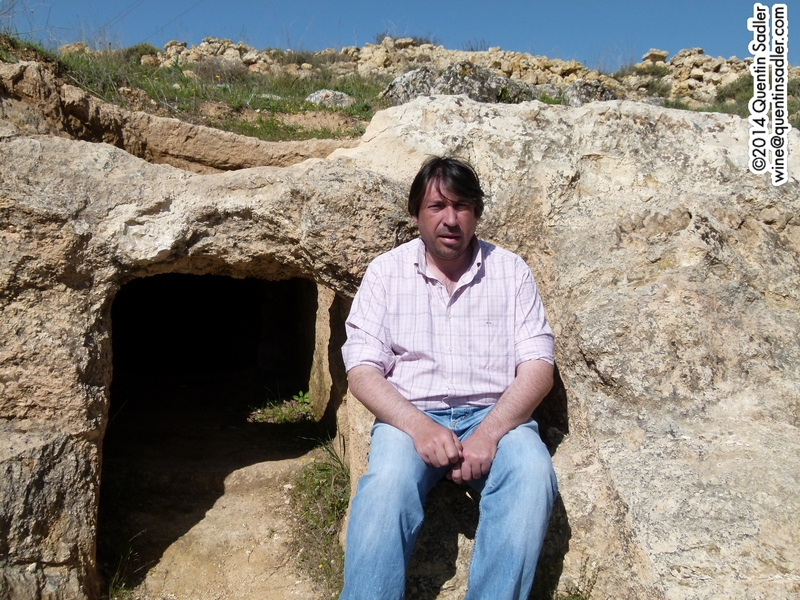 Fabrice sitting on the mourner’s seat carved into the rock of the ancient tomb. Fabrice gave us three wonderful tastings in different parts of the winery, tasting vat and cask samples as well as finished wines. 2012 Château Kefraya Blanc de Blancs is a beautifully textured and deliciously creamy dry white with good acidity. It’s made from an unlikely blend of Viognier, Clairette, Muscat, Bourboulenc, Ugni Blanc (Fabrice is from Cognac country! ), Chardonnay and Verdejo. The 2012 Château Kefraya Chardonnay is beautifully balanced with rich figgy fruit and well integrated oak. While a tank sample of the Provencal-like 2013 Château Kefraya Rosé was quite delightful with a little creamy ripeness to the red fruit notes, good acidity and a touch of spice – it would go perfectly with a classic Lebanese meal. The 2010 Château Kafraya Rouge is a blend of 60% Syrah, 35% Cabernet Sauvignon and 5% Mourvèdre aged for 18 months in oak, 50% new. It is a lovely wine with spice notes as well as rich black fruit and some earthiness too. The drying tannins give some nice structure to the sweet, ripe fruit. The ‘flagship’ wine here is called Comte de M and the 2010 Comte du M Rouge is an intense, concentrated and fine blend of 70% Cabernet Sauvignon with 30% Syrah that spent 18 months in new French oak barrels, Fabrice has experimented with American oak, but he hates it! I found the wine to be opulent, but elegant too, full of rich fruit, with lovely fresh, cleansing acidity and supple tannins. Fabrice also gave us some fascinating cask samples, most memorably his 2012 Carmenère (with 20% Syrah) that had 18 months in new French oak. It was sublime with beautiful blackberry fruit, fruity intensity, those savoury notes, supple tannins and a touch of spice and mocha. He only made one barrel, so try it if you can! Thank you too Fabrice for a wonderful visit and for your infectious enthusiasm. 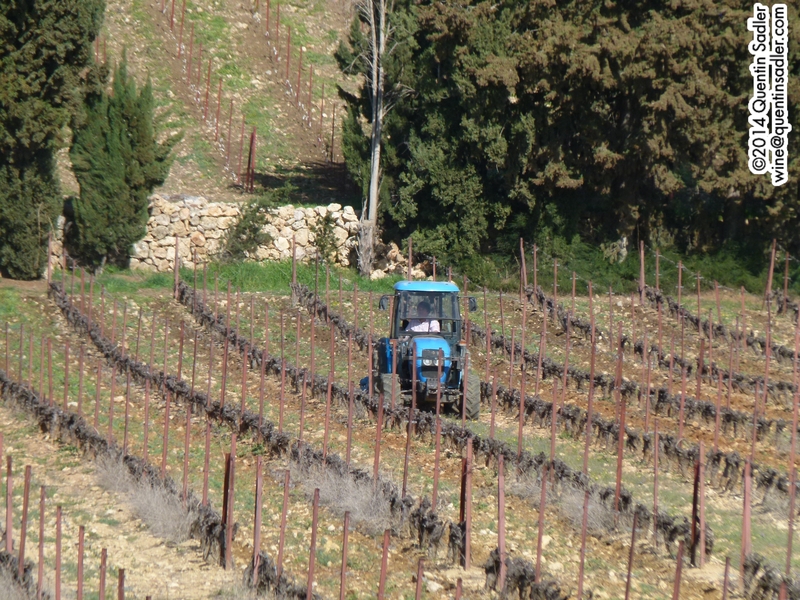 Château Kefraya wines are distributed in the UK by Lebanese Fine Wines. Château Kefraya wines are distributed in the US by Volubilis. Both these visits were great experiences and introduced me to a wider array of styles from Lebanon than I was expecting and whetted my appetite for more Lebanese wine, so I will report on a couple of more wineries soon.